News from Papitus - Kim Jong Kook's OST of Good Doctor Drama shall be release on 19 September, Good Doctor episode 13. Stay tune and listen to the song sang by Kim Jong Kook. I have been watching the drama and i would say that i really enjoy this show very much. This could be my favorite korean drama of the year, therefore, i am excited that my favorite singer is going to sing the OST of my favorite show. That was double happiness for me. 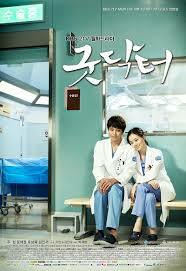 If you have not watch this drama yet, this is the trailer for Good Doctor that is currently airing at KBS. A medical drama about a man with autistic disorder, who has mentality of a 10-year old, overcome bias and discrimination by the society and becomes a pediatrician by utilizing his exceptional abilities that the illness brings. From episode 1 till now, i enjoyed the story development and the plot of the show. I know the main lead of this drama is Joo Woo whom i recoginzed as one of the main character in Baker King. In this drama, he acted as a talented surgeon that is autistic. His acting is fantastic and he deserve to be compliment for his effort. It is no easy feat to protray a character with special needs and Joo Woon was able to project the image from his own understanding. It was hard to display those complicated feelings in a child like manner. Joo Woo did pretty well for those expressions and gesture. Moon Chae-Won acted as a resident trainee surgeon named Yoon Seo. She is passionate but lack the confidence and the skills to perform her duties as a surgeon. In fact, she likes to curse and swear at people especially when she is drunk. She harbored a crush on the established surgeon Kim Do-Han, played by Joo Sang-Wook. He appears to be harsh and strict but he did have some soft spot deep inside his heart and that will only reveal later in the episodes. I will continue to watch this drama and write my afterthoughts in this blog.